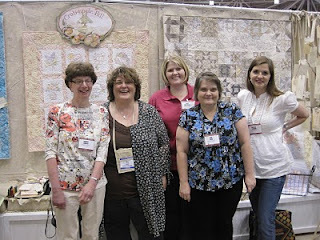 We love Meg of Crabapple Hill Studio. Left to right is Sharon, Meg, Kelle, Anne and Kristina. Oh to have more time to stitch! 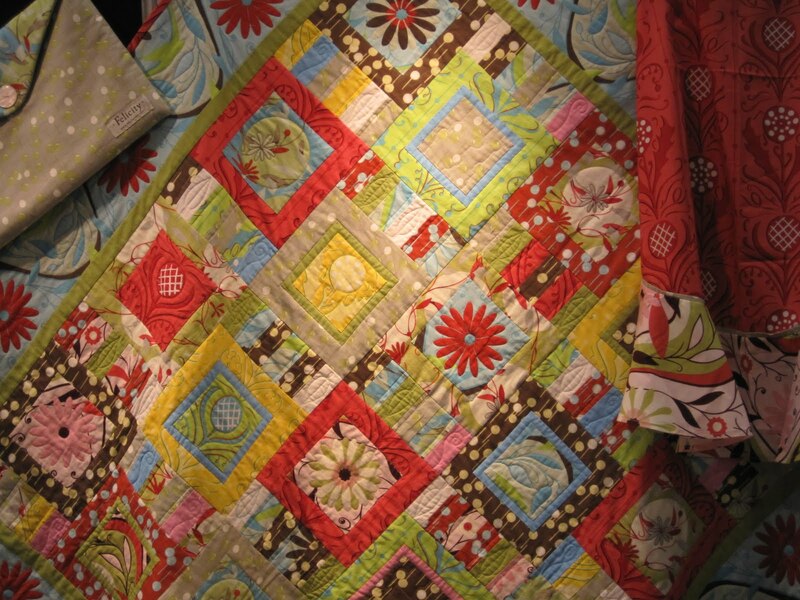 A quilt with pretty fabrics. We ordered this collection from Free Spirit. 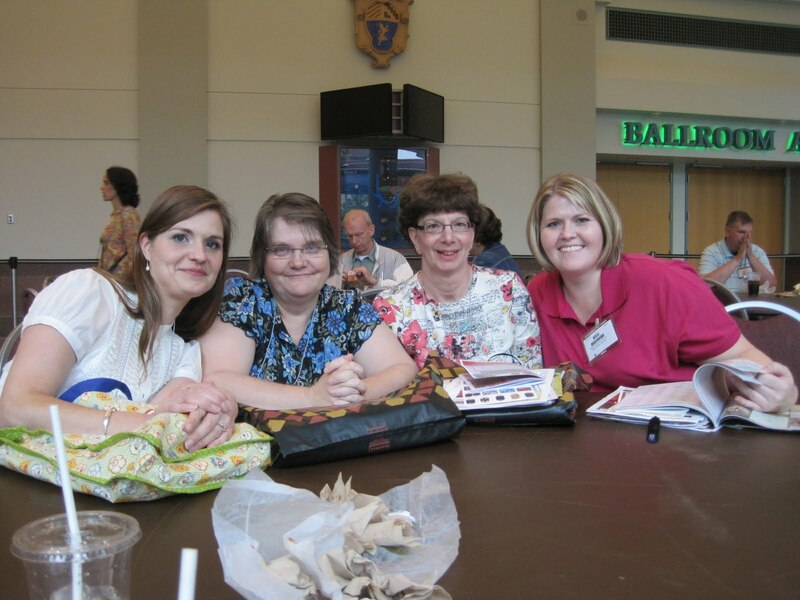 What a group! 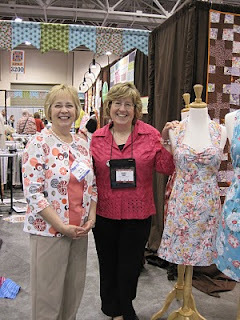 Sharing all their ideas with Debbie and Laurel. You can see the remnants of our hot dog lunch. Love the convention fine dining! Linda of Brandywine Design along with Laurel, Linda's husband Jack, Pam and her husband Bob! 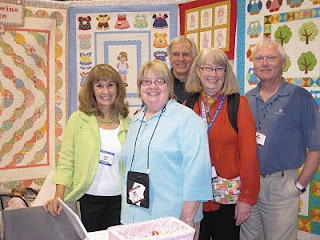 Love your booth Linda! 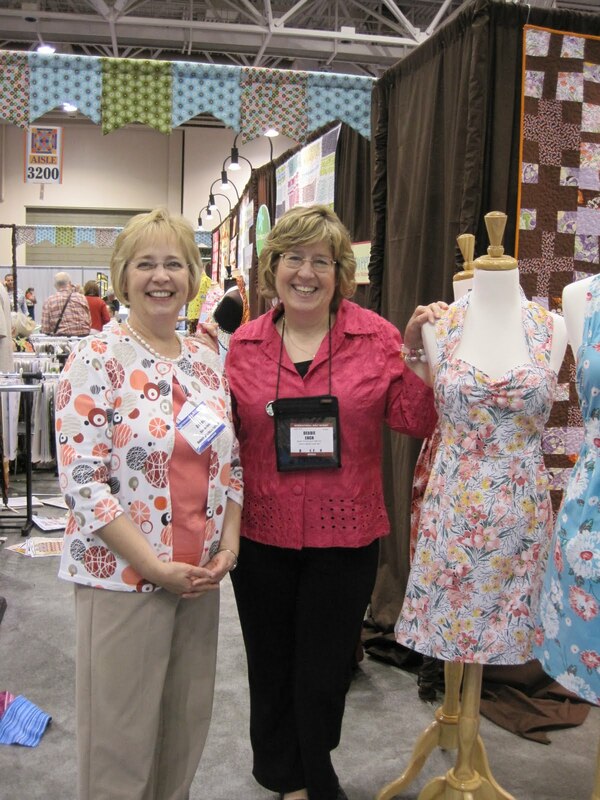 This is Lorrie from bean counter Quilts. 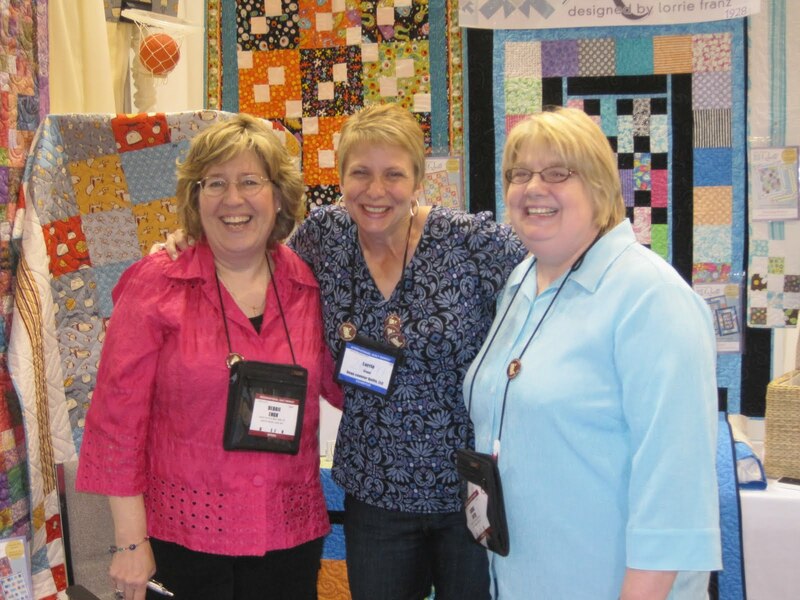 Thanks for posting about bcQ at Quilt market. You were right, the photo is cute. 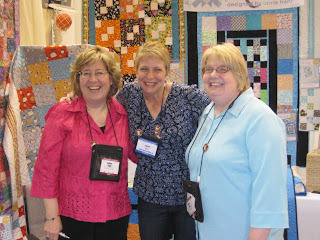 I know for sure the smiles are genuine because I had a great time when you visited my booth. Thanks again!